Katalon Studio is a free and robust automation solution for API, Web and Mobile testing. It eliminates the complexities of building an automation framework by integrating all necessary test components with built-in keywords and project templates. Katalon Studio includes the full feature set for a complete test automation process covering multiple platforms and testing types. Developers and testers will find Katalon configurable scripting modes effective for their testing needs and programming skills. Katalon Studio is trusted and supported by an active community of over 350K users from 150+ countries around the world. Katalon Studio was added by huyduong in Dec 2016 and the latest update was made in Aug 2018. The list of alternatives was updated Mar 2019 There is a history of all activites on Katalon Studio in our Activity Log. It's possible to update the information on Katalon Studio or report it as discontinued, duplicated or spam. 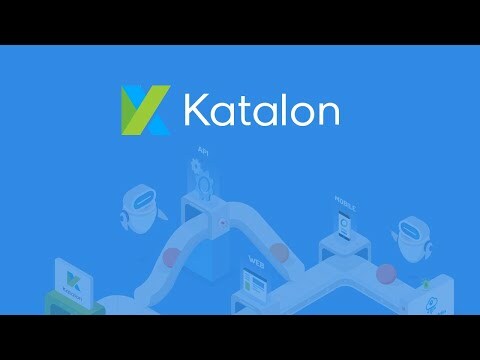 Alternatives to Katalon Studio for Windows, Mac, Linux, Web, Self-Hosted and more. Filter by license to discover only free or Open Source alternatives. This list contains a total of 21 apps similar to Katalon Studio. poojaPandey added Katalon Studio as alternative(s) to Cybersecurity Maturity Index (CMI). This is one of the best tools I've ever used. It provides amazing features like Analytic, Record and Playback which are really cool. This tool supports both web app and mobile app. You can get the support everywhere ( forum, community, support team,...). Besides, it has both manual and script mode. But there is something that needs improvement: You have to redownload and install it to update the tool and the package size is quite big.